Bokashi4Africa | …. recycle your kitchen scraps with ease……. We are passionate about Earthworms and Bokashi solutions, and our site is intended to inspire and educate people to use Earthworm/Bokashi by-products as natural, organic fertilizers and pest control options for their gardens and their garden vegetables. Worms 4 Africa caters to the wormery market in Kwa-Zulu Natal (and in South Africa) and we specialise in supplying Eisenia Foetida (Red Wriggler) worms, wormery kits and Bokashi Bins to the general public, businesses, farmers and feeding schemes. Our food comes from the earth, and to produce healthy, energy filled food, we need to have healthy, energy filled soil. 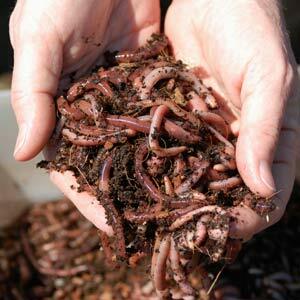 Earthworms are essential in creating a healthy soil environment for plants to grow and flourish. There are over 2000 species of worms, however, the worms we work with are composting worms that turn waste into a living medium that supports plant and microbial life in the soil. By using these awesome creatures and their by-products, one can recondition soil, dispose of green household waste and grow one’s own food without the use of inorganic fertilisers which destroy microbial and effective microorganisms and worms in the soil. Another system that adds huge value to the soil, as well as reduces the amount of household food waste is the use of effective microorganisms (EM). 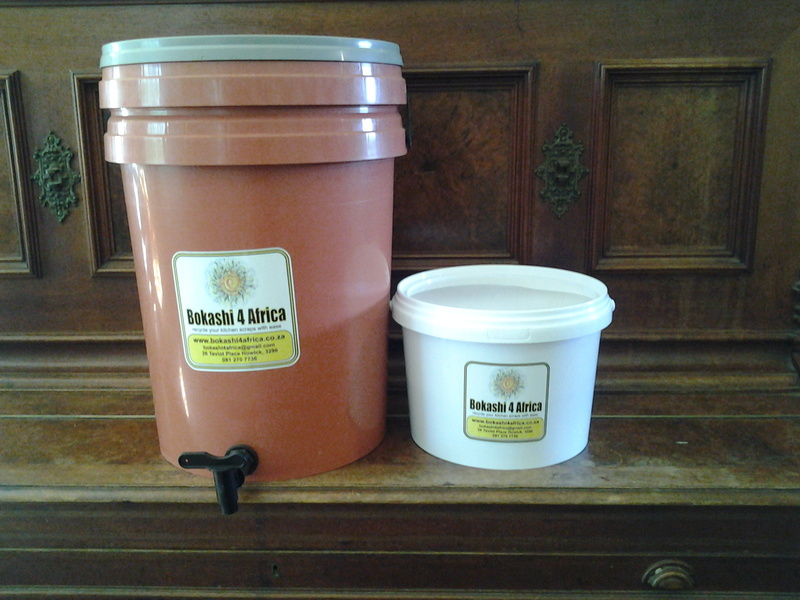 A wormery and Bokashi Bins are perfect composting companions for any household. A wormery takes green household kitchen waste, and a Bokashi Bin allows home owners, restaurants, B&B’s and hotels to dispose of the waste that wormeries cannot process efficiently such as meat, dairy, breads, citrus, acidic fruits and foods. In order to educate the general public on the benefits of establishing a self sustaining wormery, Worms 4 Africa conducts Saturday morning demonstration seminars (by appointment) and offers sound advice on the care and management of earthworms ensuring their optimal performance. Our vision is to inspire and educate people to reduce their carbon footprint by using worms, wormeries and Bokashi composters and to highlight the incredible benefits that the by-products of these systems have for one’s garden plants and home cleaning (drains and wastewater systems), thus saving money and the planet! Our mission is to change one person’s mindset at a time to recycle degradable matter by using earthworms and creating sustainable resources that will support our earth to produce viable, nutritious and organic food to feed our families for optimal health and wellbeing thus making the planet inheritable to our children’s, children’s grandchildren. Feel free to contact us to discuss your wormery requirements, and for regular worm/Bokashi info you can subscribe to our blog where we will support you with regular information on these subjects or phone me on +27 81 270 7736 / +27 64 537 6150.
in the article I looked at. And on this post Bokashi4Africa | �. folks? 😛 And, if you are writing on additional online social sites, I’d like to keep up with everything new you have to post. Would you make a list the complete urls of all your shared sites like your twitter feed, Facebook page or linkedin profile? Money annd freedom is the beset way to change, may you be rich and continue to help others. Thank you for your post on my website. It was very encouraging. Thank you for refering me to your friends. Hello there, You’ve done a fantastic job. I will certainly digg it and in my view suggest to my friends. it and I have you book marked to look at new things on your website. Thank you for you comment, l really appreciate feedback on my website. Thank you for your post on my website. It was very encouraging. I look forward to hearing from you.